The Story of Writing will be of interest to anybody interested in the graphical presentation of language. It’s very much a coffee table volume – profusely illustrated and printed on glossy art paper, though Andrew Robinson does spend much of his time wading in archaeological detail. He doesn’t claim to be a specialist, and one suspects from time to time that he is offering a digest of other people’s work for which he has an amateur enthusiasm. 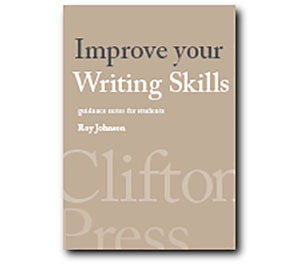 In fact his title is somewhat misleading, because his book doesn’t really trace the development of writing. Instead, after making a few observations on pictographs, logograms, rebuses and various other forms of what he calls ‘proto-writing’, the centre of the book deals with four famous cases of decipherment. These are the historical struggles to decode Cuneiform, Egyptian hieroglyphs, Linear B, and Mayan Glyphs. And very interesting the accounts are too – each one a case of scholarly sleuths working against the odds, and each one cracked surprisingly recently (though there are others which still elude interpretation). Some of his exposition is extremely technical, and rather at odds with the populist presentation in which each topic is delivered in double- page spreads. The book also ends rather arbitrarily with a discussion of Chinese and Japanese writing (“the most complicated writing in the world”) and the political dilemmas surrounding computerisation and the temptations of the Roman alphabet. It’s the sort of publication which would probably be most used in a departmental or college library, but if somebody gave you a copy as a birthday present you wouldn’t exactly be disappointed.